Pianist at set times during the day and evening. Stunning property,food & service. Highly recommend it not only for lunch but also one of the best afternoon teas in any London hotel. On arrival the there was a warm greating. Our order was taken and the lovely food arrived quickly. After that it all went a little down hill. We wanted to order another coffee but could not get any of the staffs attention. We then were trying a good 15 minutes to ask someone to bring the bill. Maybe our table was out of sight. Overall the location is wonderful and the food excellent, however I was a little disappointed with the service. First time to this place and we were not disappointed. 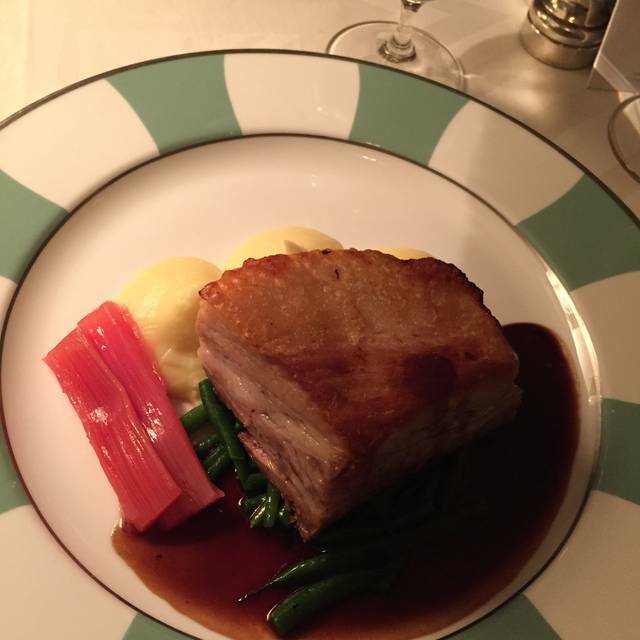 Ambience, food, setting was all you might expect from Claridges. Service was outstanding, staff are friendly and knowledge . We’ll come again. Excellent place, nice decoration and outstanding service. Never been in a place that make you feel special. Amazing experience, beautiful setting, lovely decor, perfect service with a smile, we felt welcomed all along. The foie gras terrine I had as a starter was the best I ever had. Fantastic service, great dining experience. Relaxing and cosy. 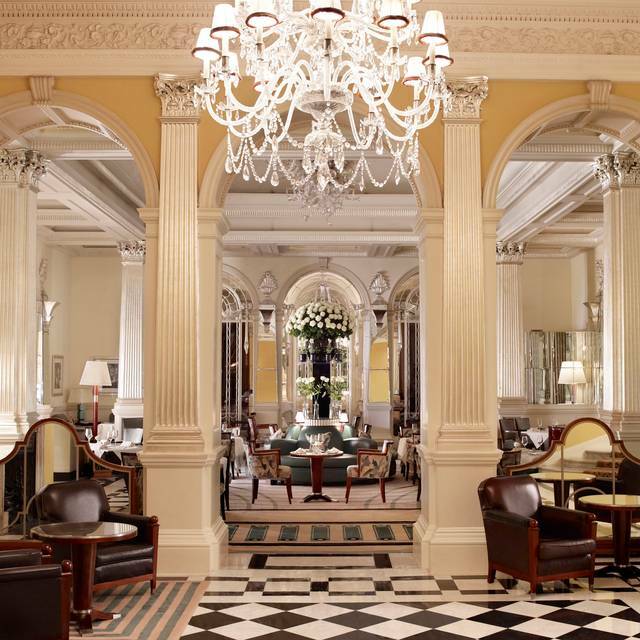 WE HAVE DINED IN ALL THE TOP HOTELS (RITZ, SAVOY ETC) & MOST HIGH-END RESTAURANTS IN LONDON. WE WERE DELIGHTED WITH THE LOVELY ATTENTION IN ALL PARTS OF THE HOTEL (INCLUDING THE CLOAKROOM - THIS IS IMPORTANT). THE STAFF WERE EXCELLENT IN THE BAR AND THE RESTAURANT AND EVERYTHING INCLUDING THE FOOD WAS FAULTLESS. WE WILL BE BACK. We went to celebrate my parent's anniversary, with a gluten free person in the party. The restaurant were informed of both before our arrival and whilst they remembered and marked the anniversary with some custom desserts at the end (which was nice) but I was a little frustrated about the gluten free element, primarily around the timing of the bread being brought to us. Since they give bread to all the tables, there's no reason to hold off ordering it when your guests sit down. Instead, they ordered it when we ordered our wine and the normal bread was brought to the table, which meant the gluten free bread arrived as we finished eating our starters. Hardly what I'd expect. Beyond that, all the food was well presented, well cooked and tasty. Service was excellent throughout in terms of friendliness, efficiency and politeness. The Chicken Pie was highlight and the mash was simply perfect. Outstanding staff resturants hotel just superb, booked for daughters 40th birthday, she is lactose intolerant, chef was informed 2wks before, WoW what a menu he created for her. THANKYOU sooooo much. I take my mother there when she comes into town. Usually it’s decent. But this time, they didn’t have my reservation, I had to ask for the menus and pretty much everything else. Food was incorrect, my bill came before my dessert and when I asked where the dessert was, the waitress barked at me. In general, service was extraordinarily rude. All in all, a great shame. 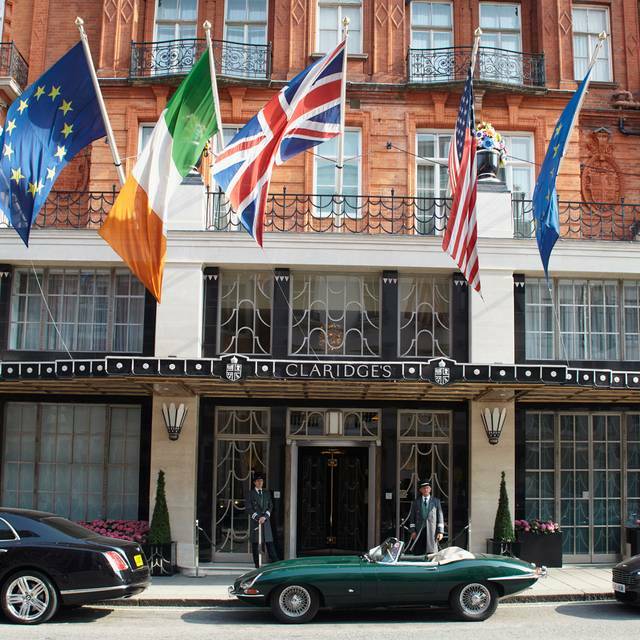 I would expect much more consistent service from Claridge’s. You really feel to be in a top class location. Even the food is not up to the setting around you, you take the magic memories with you. I do not mention the price of the dinner, cause measured to the high level of service. 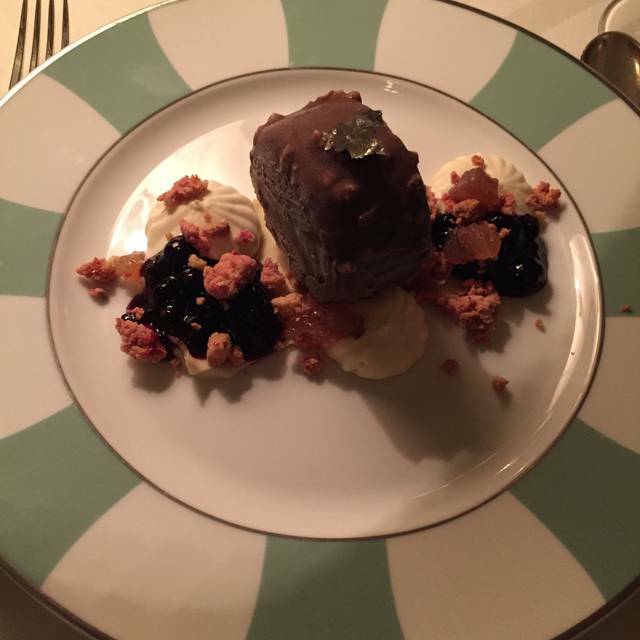 Impeccable service and great food, very cosy and relaxed, a wonderful experience! While the service was outstanding, unfortunately there was nothing memorable about the food which was pretty average in terms of flavour. My expectation of the hotel, given its reputation, was that the dress code would be at least smart casual for semi-formal dining. I was therefore surprised to see that jogging pants, tee shirt and trainers were acceptable. Not worth dressing-up for a special night out as you could look out of place! A fabulous meal. Service was outstanding. Highly recommended. We enjoyed every aspect of our visit! I particularly enjoyed the salmon. The portions were very generous; especially the sides. The service was excellent. Staff were helpful and took time to help us with directions. The cocktails were beautiful. The setting was very tranquil. The hotel was easy to find. The meal was ruined by shouting and screaming children who used the Foyer as a playground. This should have been stopped by the restaurant manager. However, I expect the fabulously wealthy parents of the ill-disciplined children would only make a complaint against him so nothing was done. The wine list mark-ups were ridiculous and I found them to be insulting. When the least expensive bottle of claret is £65 and is also pretty awful, it does not encourage one to return. On the positive side, service was superb and first class, and the food was delicious. Lovely restaurant, great service. Reasonably pricey, but worth it for a special occasion. Treated very well by all staff, they couldn't do enough for you. Amazing place, delicious food and outstanding service!! This is a lovely restaurant, serving good quality, well prepared food, with attentive service. It's not exactly grand, but certainly edging that way. The atmosphere is comfortable and relaxed, with live piano music, which I found pleasant and unobtrusive. I had the their chicken pie, which I can thoroughly recommend. This is the second time I've been lucky enough to dine here. It never fails to impress! The first time, our gentleman server was fabulous, this time we had a little tiny couple of misunderstandings with our lady, but these were just niggles. Chef made an appearance, which made it a superb occasion for us all. Next time, we're staying! Our new favourite place in London. Service was excellent. Food was very good, Oysters were excellent. Music at dinner most pleasant. Somewhat pricy, worth every dhilling. Fantastic service with a great ambiance for special occasions with somebody special. An absolutely lovely evening. Both the food and wine were excellent. The staff are amazing and made my girlfriend feel that she was special and the only one there. I thought I had booked afternoon tea at 1pm, however when I showed up they told me that afternoon tea is not served until 2:45. I wish this was clarified when I booked. Easily the best meal of our three day first visit to London. Food, service and surroundings were excellent. Fabulous ambiance and decor. Service is sterling. Can easily carry on a conversation. Very good food, service. Outstanding table presentation. My over-riding impression of this restaurant is one of being a little rushed. When we arrived at 7:30PM on Saturday night we more or less had the restaurant to ourselves, I was very surprised at how many empty tables there were. So although this made the atmosphere a little flat, I assumed the consolation to this would be a very attentive service. Unfortunately the service was too attentive, the waitress was constantly hovering around us and hardly gave us any time to choose wines and food. When our starter had finished she was over almost immediately to take it away and the main course wasn't far behind. When I go to a restaurant like this I want to enjoy the whole occasion and savour every moment, I don't want the staff to be rushing us and making the experience whizz by too quickly. We literally had to slow down our eating on purpose so that the staff would give us some space. The staff themselves were very polite, though I had to request some bread rolls before the starter arrived, which was disappointing, a restaurant of this quality should provide bread rolls without having to be prompted. One thing I will say to anyone planning on dining in the The Foyer and Reading Room is be prepared for an expensive evening. The cheapest bottle of wine on the menu was £54, when I asked for a glass of water I was given a small bottle of mineral water and charged £6.50 for it! There's also a 12.5% service charge on the bill, a practice I don't agree with, customers should be free to tip the staff directly and at an amount of their choosing. Overall, The Foyer and Reading Room is a beautiful setting, fantastic for a romantic evening with your partner, and the food is also superb. I just wish our experience hadn't been so rushed and I also think some of the pricing is excessive. Outstanding service and ambience. 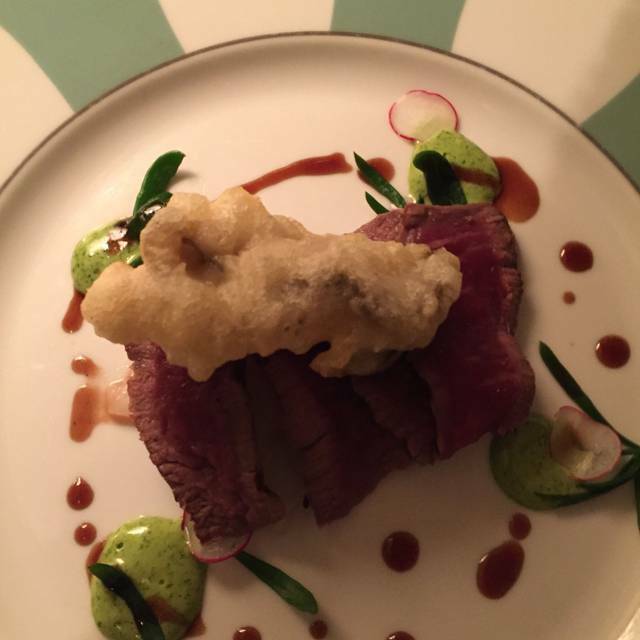 Presentation was great but Chateaubriand wasn't as exquisite as the restaurant. Our Easter lunch was wonderful! The service and meal was fantastic.